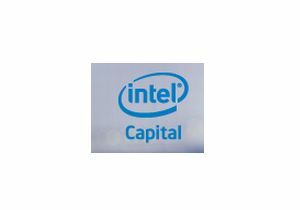 Intel Capital, the corporate venture capital arm of chipmaker Intel Corporation, has announced $18 million in investments in four Indian companies and in one Sri Lankan tech company. They include online travel company Yatra Online Pvt Ltd, mobile VAS company July Systems, online insurance retailer PolicyBazaar, healthcare tech company Sudhir Srivastava Robotics Surgery Center Pvt Ltd and a Colombo- and California-based open source software company WSO2. The venture capital fund will make two new investments - in PolicyBazaar.com and Sudhir Srivastava Robotics Surgery Center Pvt Ltd (SSARSC), a company which focuses on bringing advanced robotics to medical care in India. PolicyBazaar will use the monies raised to build brand awareness and increase product depth. SSARSC is a provider of advanced robotic surgery procedures for specialty areas such as cardiac, urology, thoracic, gynaecology, orthopaedics, head & neck and general surgery, subject to satisfaction of customary conditions. This investment also marks Intel Capital's first investment in the healthcare sector in India. In addition to these, Intel Capital will also make three follow-on investments in online travel company Yatra.com, Sri Lanka-based open-source provider WSO2 and Bangalore-based mobile media company July Systems. However, details of the individual investments were not disclosed. "Technology has been key to India's unprecedented development over the last few years and our investments in these companies is a proof of our on-going commitment to nurture technology innovation in India," said Arvind Sodhani, president of Intel Capital and executive vice-president of Intel. "Our support for these companies will give them access to global resources, knowledge and expertise to assist with their own growth and success." The investments have been made from $250 million Intel Capital India Technology Fund, established in December, 2005. The company did not divulge details of the investments made from its Indian technology fund. With the new commitments, the fund has deployed about 70 per cent of its corpus. The venture capital firm said that it would not start the next fund until it invested the capital in the current fund. Going forward, the key focus areas for the VC fund going will be consumer internet, cloud computing, education, information technology and related services. "We are investing very aggressively in India," said Sodhani. On the new fund-raising plans, Sudheer Kuppam, Managing Director (Asia Pacific), Intel Capital, said that they would not raise a fund unless it was completely deployed and that they would also warehouse some portion of the total corpus to keep making follow-on rounds to their investments. The captive investment arm of Intel Corporation has been consistently re-upping commitments to its portfolio companies. In November, 2010, Intel Capital also made a follow-on investment in Noida-based Wortal Technologies, which runs local events portal BuzzInTown. Intel Capital hopes to exit from some of its portfolio companies this year and the currently lucrative IPO market may help it benefit even more. Some of its portfolio companies in India which went public in 2010 include Pune-based Persistent Systems and Infrasoft Technologies (123greetings.com). One of its portfolio firms, mobile VAS services player One97 Communications, has already filed a red herring prospectus. Online travel company Yatra.com is also eyeing an IPO this year. The venture capital firm has had a busy year in the first quarter of 2011, having already invested in companies like KLG Systel, Multi Commodity Exchange and July Systems Inc. Since 1991, Intel Capital has invested over $9.8 billion in more than 1,100 companies across 48 countries. In 2010, Intel Capital put in $327 million in 119 investments, with nearly 44 per cent of the funds invested outside the USA and Canada.